A very special soul is coming to Norway. 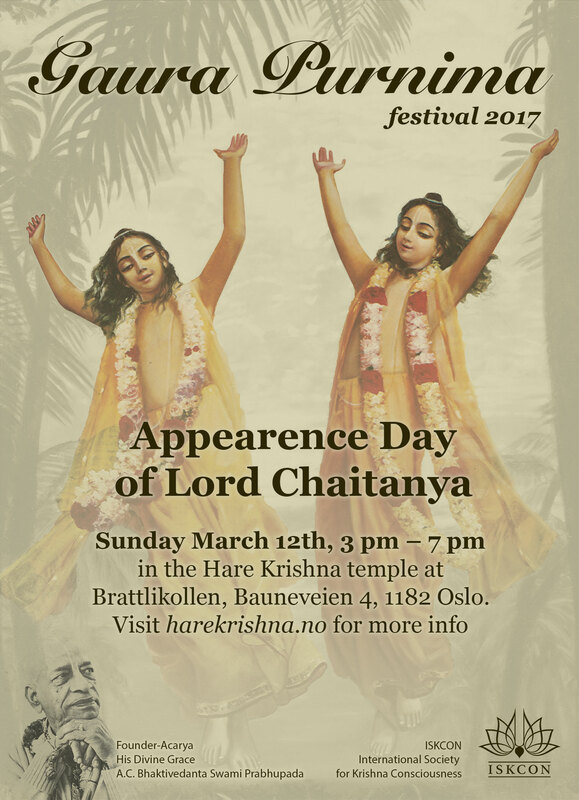 His Holiness Bhakti Swarupa Chaitanya Swami is coming to Oslo on November 30, Wednesday. He will give lecture in the temple in the evening 6 pm. Thursday 01.12 he will also give lecture in the morning 8 am and in the evening 6 pm, and in the morning 8 am on Friday 02.12. Please grab this opportunity for sadhu sanga.